Yol.io .::. Create and share your birthday list online. Create your online Birthday Wish List. Have an upcoming birthday? 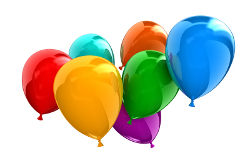 Put your birthday list online and share with friends and family. Get what you really want this year! Parents, create an online birthday list for your child and avoid those embarassing duplicate gifts!